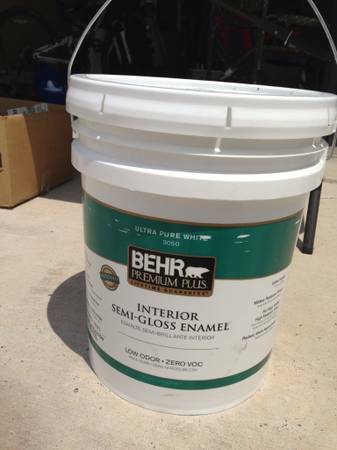 12 gallon of Behr Premium Plus interior semi-gloss paint. 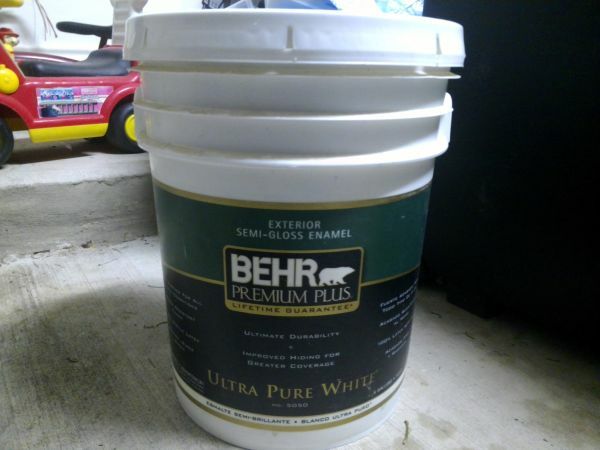 Color is ultra pure white. Paid $25. Asking $5. 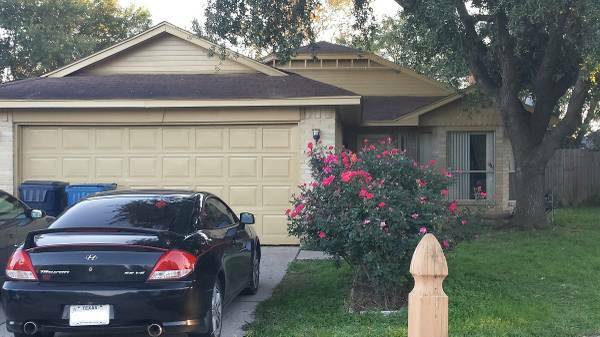 Please call or text if interested. 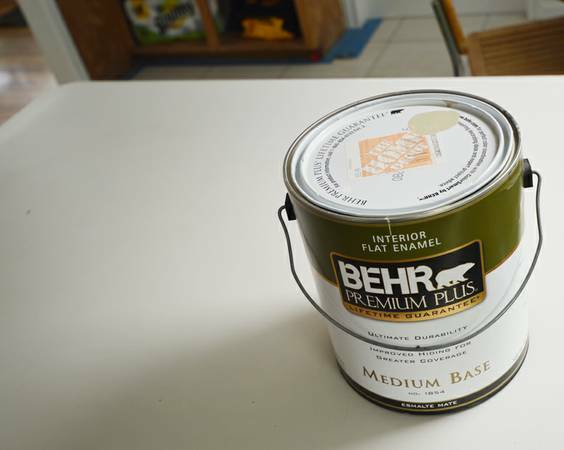 Remodeling a few houses owned by family and went over board on paint. 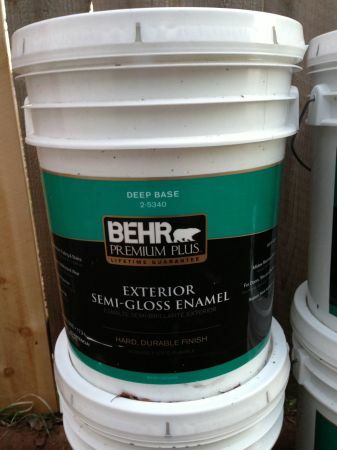 I have a few 5 gallon, paint primer in one, Behr paint left. 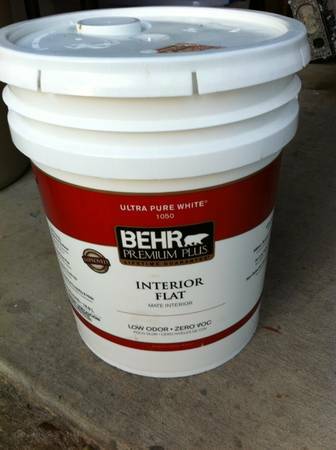 Its white and can be mix to the color you desire by mixing color pigment in with it. Normally $140... Ill let them go for $70 a bucket. Gray is also available. 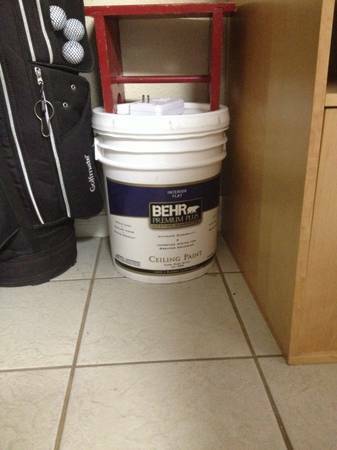 5 gallon Behr premium plus interior flat ceiling paint never been opened. We were planning on remodeling, but now we have a child on the way. No time to remodel for a while. Bought at Home Depot for 103, never used a drop.